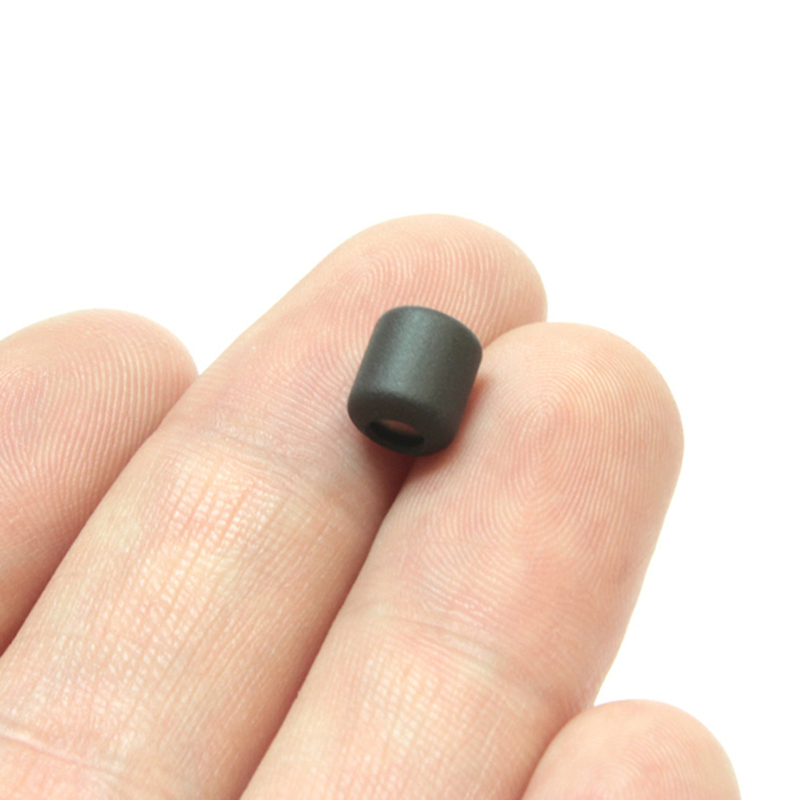 Invisible Standard Wireless earpieces (without module!) 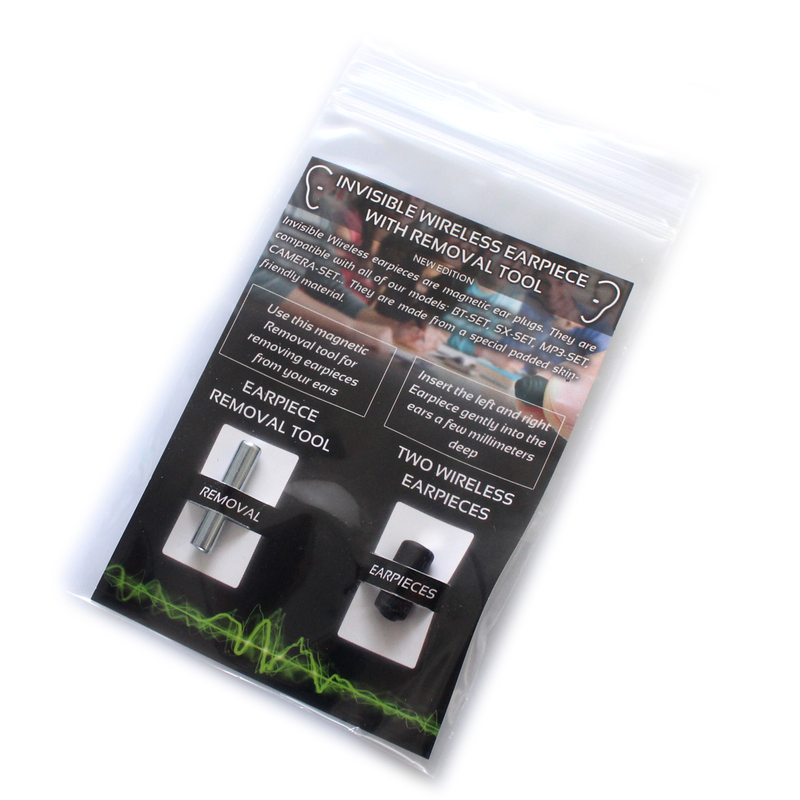 This set of earpieces is included with each of our sets, but you can order a spare one, for example if some one else will use the invisible sets they can have their own earpiece. 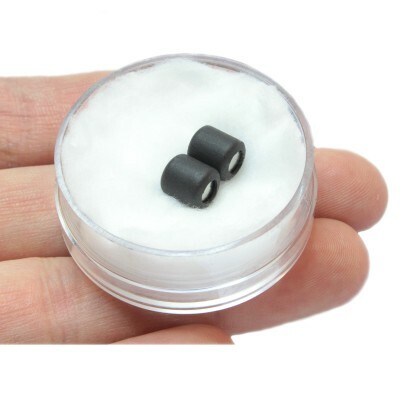 They are compatible with all of our models BT-SET, SX-SET, MP3 -SET... The standard earpieces are made from a special padded skin-friendly material, which provides a compact fit to the ear. Notice: These earpieces are an accessory to our different models, and the package only includes two earpieces without the module neckloop, microphone. These have to be ordered separately. 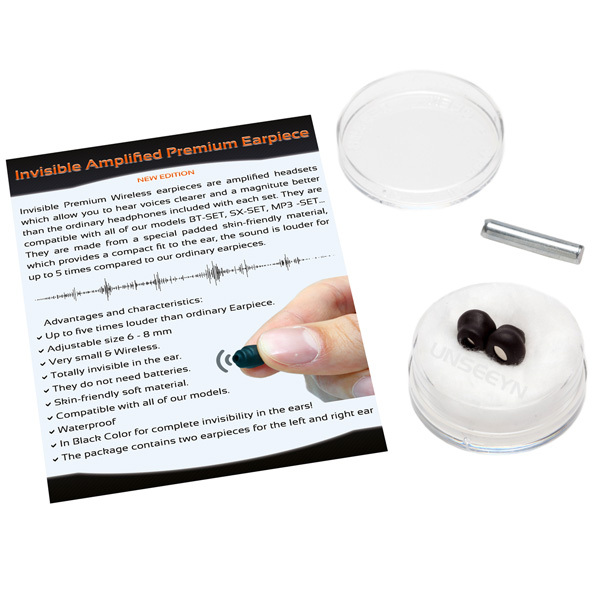 They are 100% invisible in your ears! Take the wireless Earpiece and orient it as shown in the picture, insertion and removal is very simple and quick, insert it in a blink of an eye and removal is just as fast with the included Removal Tool. Insert the Earpiece gently into the ear, because the Earpiece is black it is completely invisible once in your ear as it does not reflect any light from its surroundings. It needs to be inserted a few millimeters deep, so it hides into the ear canal. 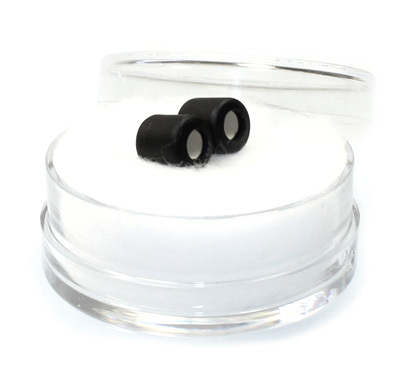 This is how your ear looks once the Earpiece is fully inserted, as you can see it is completely invisible in the ear, without any cables, batteries and it is completely safe to use, as it is especially made out of a single piece of durable magnetic material. Removing earpieces is very easy. It only takes a second! 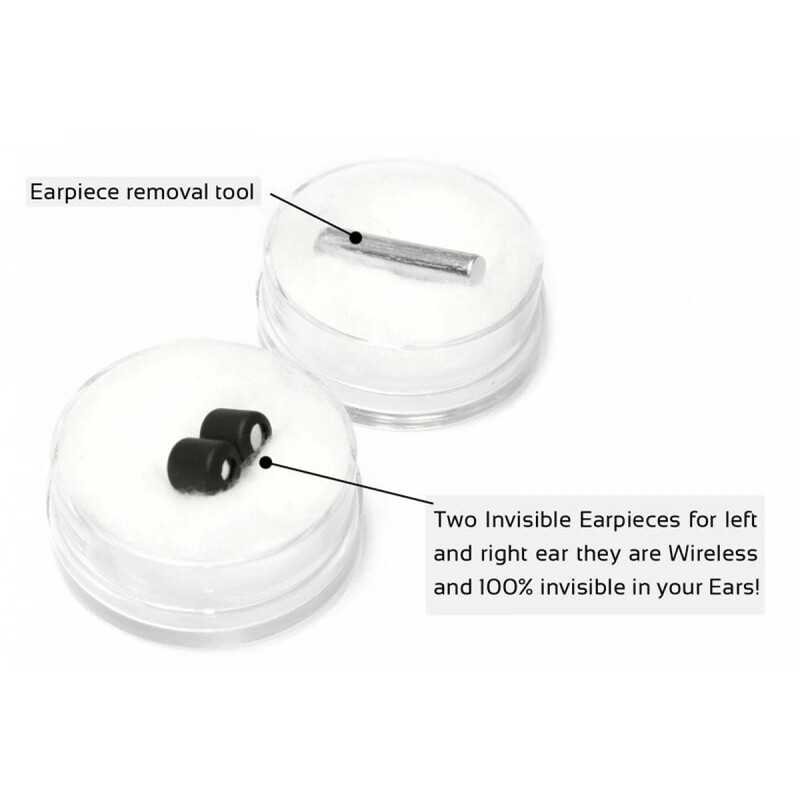 Take the included Magnetic Removal Tool and slowly bring it close to the ear. The Magnetic Earpiece will snap-on to the Removal Tool. Finished! That is how you can quickly and safely remove the Earpiece from the ear. Battery They do not need bateries!